Following a successful naval career during which he saw active service in the Second World War, The Duke of Edinburgh began to focus on his work in support of The Queen following her Accession in 1952. In 2009 he became the longest serving British consort (companion to the Sovereign), a distinction previously held by Queen Charlotte, George III’s consort. 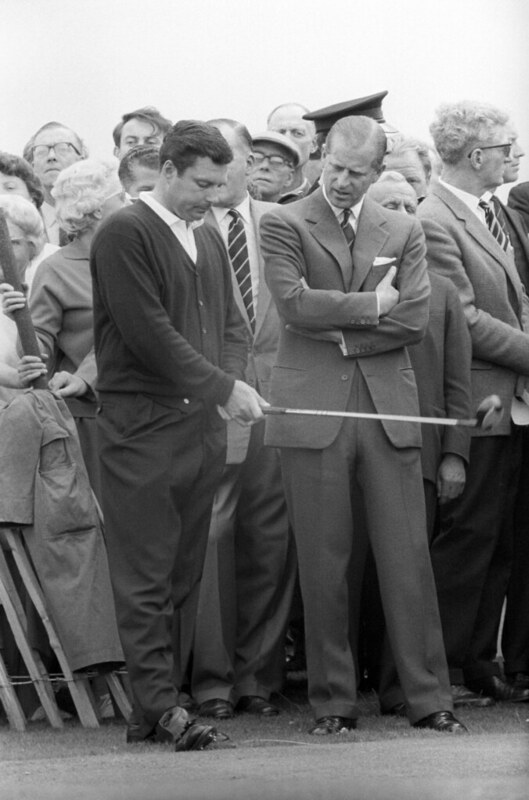 His Royal Highness also has many interests which he pursues separately to his work with Her Majesty, including conservation, engineering, and The Duke of Edinburgh's Award which he founded in 1956. In May 2017 it was announced that The Duke of Edinburgh had decided, with full support of The Queen, to no longer carry out public engagements. 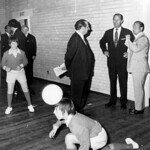 The Duke of Edinburgh is Patron, President or a member of over 780 organisations, with which he continues to be associated, although he no longer plays an active role by attending engagements. 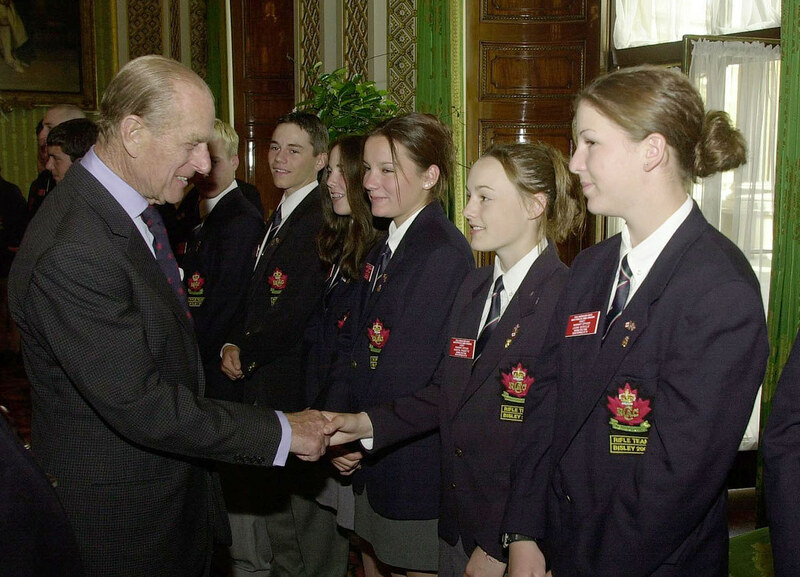 The Duke of Edinburgh is Patron, President or otherwise connected with some 800 organisations. Though probably best known for founding The Duke of Edinburgh Award scheme in 1956, His Royal Highness is also involved in the work of many more charities and organisations which reflect his wide ranging interests in topics including conservation, sport, the military and engineering. 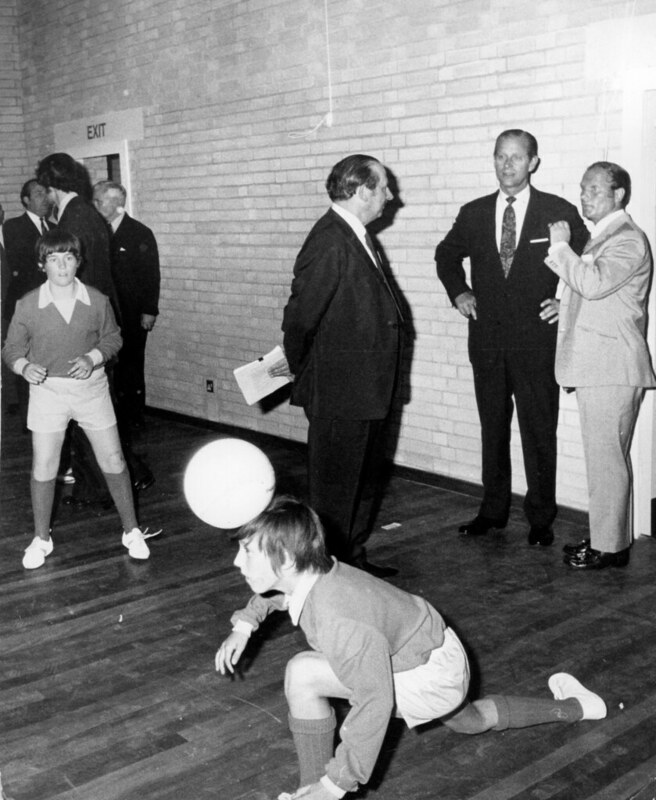 The Duke of Edinburgh is involved in a great many charities, with special interests in scientific and technological research, the conservation of the environment and the encouragement of sport. His passion for industry has been seen in countless visits to research laboratories, coalmines, factories and engineering works, with the aim of contributing to the improvement of British industrial life. On an international scale, he has sponsored six conferences on the human problems of industrial communities within the Commonwealth, in his capacity as Patron of The Work Foundation. Between 1959 and 2011 The Duke chaired the judging panel for The Prince Philip Designers Prize, which rewarded the innovation and creativity of designers and engineers shaping daily life. Winners included product designer Sir James Dyson, architect Lord Foster (designer of 30 St Mary Axe, or 'The Gherkin') and Andrew Ritchie, inventor of the Brompton folding bicycle. First launched in 1956 in collaboration with German educationalist Kurt Hahn and Lord Hunt, leader of the first successful ascent of Everest, The Duke of Edinburgh's Award has become the world's leading youth achievement award. The Award operates in more than 140 countries and in its 60 years of running has inspired millions of young people to serve their communities, experience adventure and develop and learn outside of the classroom. The four key elements of the Award are Service, Skills, Physical Recreation and Adventurous Journey, and is open to those between 14 and 24 years of age. In 2016 The Duke of Edinburgh's Award celebrated its 60th anniversary. To celebrate the occasion the DofE encouraged people of all ages to set and achieve their goals through the DofE Diamond Challenge. 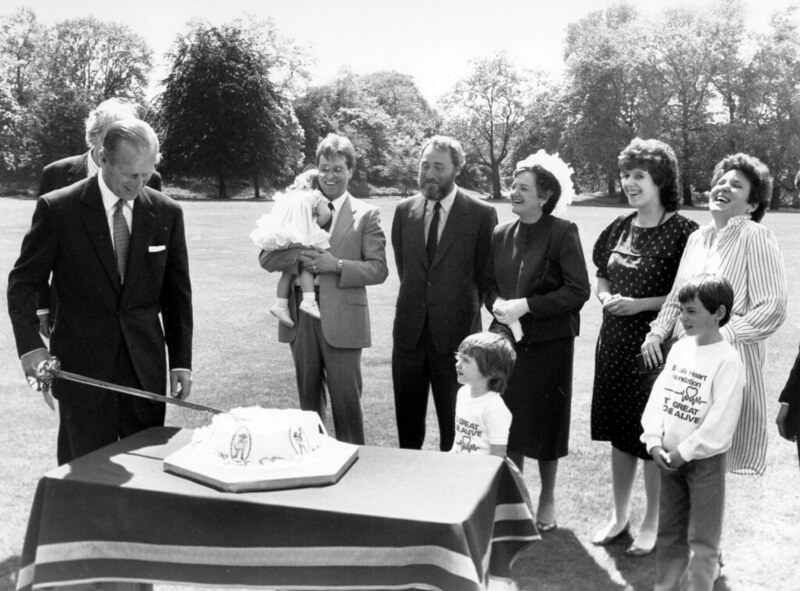 The Duke and other members of the Royal Family also marked the milestone at a series of events, from a garden party in the grounds of Buckingham Palace to visits around the UK to meet DofE participants and supporters. The Duke of Edinburgh joins @dofeuk Gold Award celebrations at the Palace of Holyroodhouse - great to see so many inspirational young people receiving their Awards today! 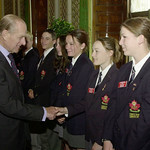 You can find out more about The Duke of Edinburgh's Award in the UK at www.dofe.org, and on an international level at www.intaward.org. Although Prince Philip ended his active naval career in July 1951, he is still very closely connected to the Armed Forces. In 1952 The Duke was appointed Admiral of the Sea Cadet Corps, Colonel-in-Chief of the Army Cadet Force and Air Commodore-in-Chief of the Air Training Corps. The following year he was promoted to Admiral of the Fleet and appointed Field Marshal and Marshal of the Royal Air Force. The Duke is also Colonel-in-Chief, or Colonel, of a number of British and overseas regiments. 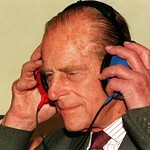 Prince Philip was born in Corfu on 10 June 1921, the only son of Prince Andrew of Greece. His mother was Princess Alice of Battenberg and he therefore held the title 'Prince of Greece and Denmark'. At 18 months old, Prince Philip and his family had to leave Greece. The country had become politically unstable and his uncle, the King of Greece, Constantine I, was forced to abdicate. Fearing for the family's safety, Prince Philip's uncle, King George V ordered a Royal Navy ship to collect them and the young Prince was carried to safety in a cot made from an orange box. During the First World War Prince Louis of Battenberg, Prince Philip's grandfather, changed the family's name to Mountbatten. Prince Phillip adopted this name when he also became a naturalised British subject and renounced his Royal title in order to marry Princess Elizabeth. 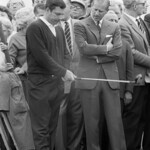 Upon his marriage Prince Phillip was bestowed with the titles Duke of Edinburgh, Earl of Merioneth and Baron Greenwich. Prince Philip joined the Royal Navy as a cadet in 1939, following in the footsteps of his grandfather, Prince Louis, who was Admiral of the Fleet and First Sea Lord. After completing his initial training under the auspice of Best Cadet of his entry, Prince Philip spent six months in the Indian Ocean as Midshipman aboard the battleship HMS RAMILLIES in 1940. Prince Philip was subsequently promoted to sub-lieutenant and appointed to the destroyer HMS WALLACE. In 1942 he became the ship's First Lieutenant at the unusually early age of 21. In 1952 he was promoted to Commander, but his naval career came to an end on the death of his father-in-law, King George VI. Aged 17 Prince Philip joined the battleship HMS VALIANT, which fought in the Battle of Cape Matapan. The Prince was in charge of the ship's searchlight control, enabling VALIANT to pinpoint enemy vessels in the dark. For this work, he was mentioned in despatches. Prince Philip was then appointed First Lieutenant of the W-class destroyer, HMS WHELP, which was present in Tokyo Bay when the Japanese signed the surrender. In July 1947 the engagement of Lieutenant Philip Mountbatten to Princess Elizabeth was announced. Four months later, on 20 November, they were married in Westminster Abbey. Princess Elizabeth and The Duke of Edinburgh spent part of their honeymoon at Broadlands in Hampshire, the home of Earl Mountbatten of Burma, and Birkhall, which is located on the Balmoral estate. The Queen and Prince Philip have four children. 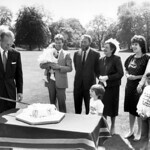 Prince Charles, Prince of Wales was born in 1948 and Princess Anne, The Princess Royal, was born two years later. After ascending the throne, the couple had two further children: Prince Andrew, Duke of York, born in 1960 and Prince Edward, Earl of Wessex, born in 1964. 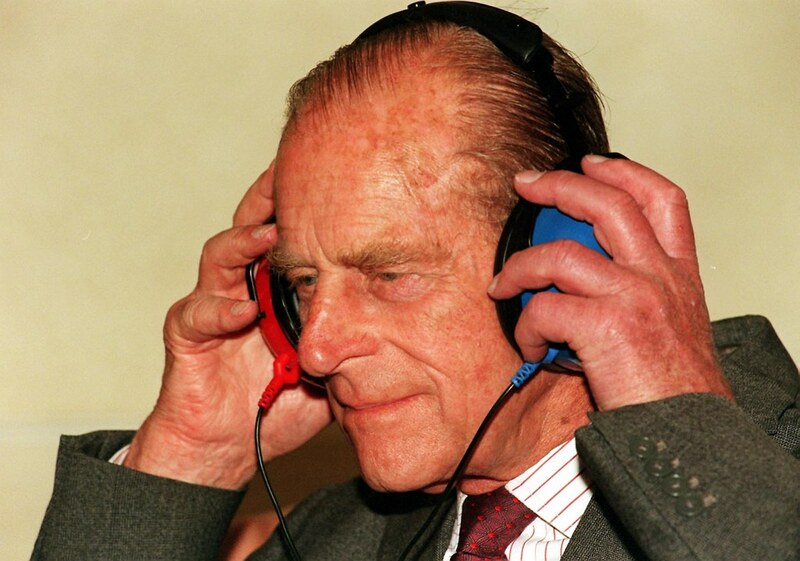 Prince Philip is particularly interested in science, industry and engineering. He has visited research stations and laboratories, coalmines and factories, engineering works and industrial plants - all with the aim of understanding, and contributing to the improvement of, British industrial life. 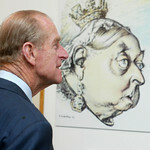 Environmental and conservation issues are also of great interest to Prince Philip. Concerned about pollution by exhaust fumes, he began using an electric car in the 1960s. Since visiting Antarctica and the South Atlantic in 1956-57, Prince Philip has devoted himself to raising public awareness of the relationship of humanity with the environment. The Duke is a keen sportsman and enjoys polo, carriage driving and sailing. He is also a qualified pilot and was the first member of the Royal family ever to fly out of Buckingham Palace Garden in a helicopter. The Duke of Edinburgh has been consort (companion to the Sovereign) for over 60 years, from Her Majesty’s Accession in 1952. In 2009 he became the longest serving British consort, a distinction previously held by Queen Charlotte, George III’s consort. His Royal Highness continues to support The Queen in her role as Head of State by accompanying Her Majesty to events in the UK and abroad, as well as attending state and ceremonial occasions alongside other members of the Royal Family. 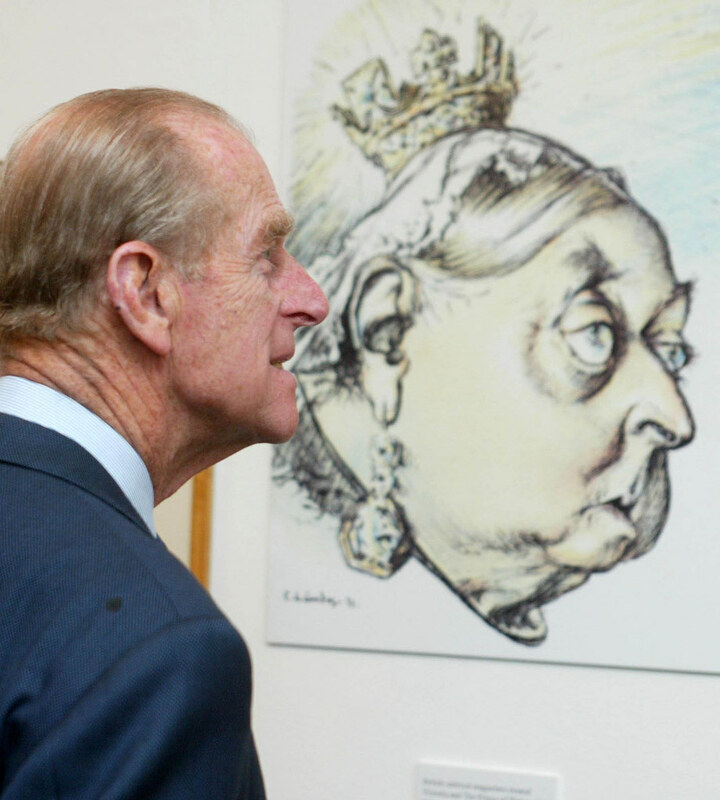 Since The Queen's Accession, The Duke of Edinburgh has played a prominent part in many aspects of national life. The Duke of Edinburgh accompanies The Queen on all her Commonwealth tours and State Visits overseas, as well as on tours and visits to all parts of the United Kingdom. He has also travelled abroad a great deal on his own account. He is patron or president of some 780 organisations, with special interests in scientific and technological research and development, the encouragement of sport, the welfare of young people, and conservation and the environment. Sports club based in ACT. Provides services, therapy and training for individuals with a range of disabilities. Carriage Association of America, Inc.
Club for officers who left the Royal Navy without a pension. Supports the training and development of lay Readers in the Church of England. Institution in Portugal furthering interest in maritime art, science and history. Social and dining club in Paris. Organisation helping individuals and companies to find charities and donate tax efficiently.